Working out with a rowing machine is an excellent way to minimise excess body fat and give you the calorie-burning boost it needs. They offer a complete full-body workout that can burn up to 800 calories an hour depending on your fitness level. 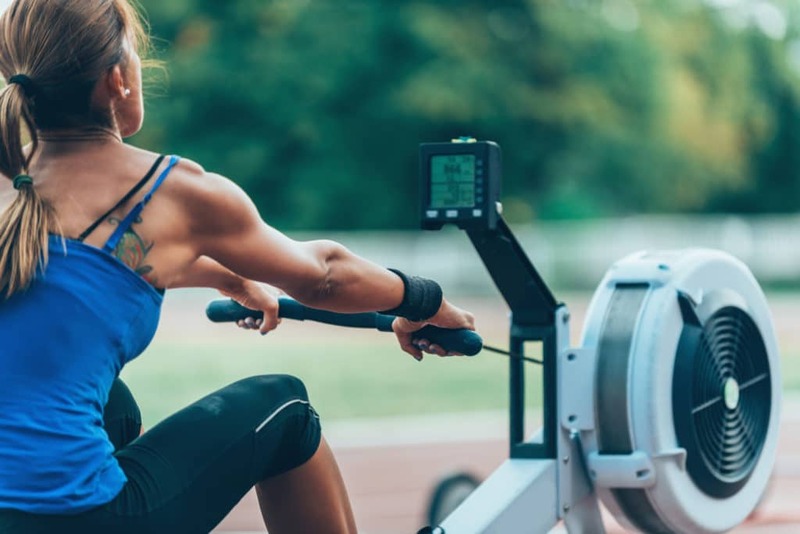 Because rowing is a low-impact form of exercise, it’s perfect for anyone who might suffer from joint problems, or issues with their foot arches. 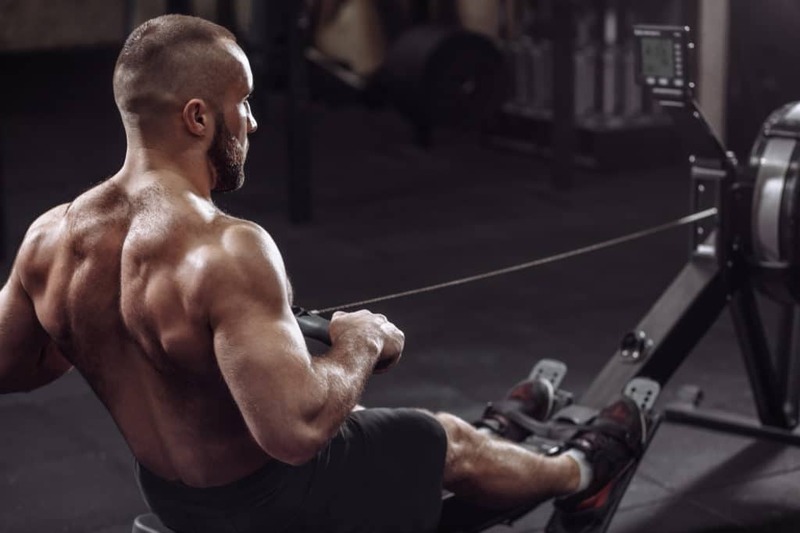 While there are many fantastic types of equipment out there for people who want to improve their health and fitness, the rowing machine is easily one of the most effective because it’s capable of exercising up to about 86% of the muscles in your body at once. With a rowing machine, you can discover a simple and straightforward way to tone up many of the major muscle groups throughout your body. So, what muscles does a rowing machine work? Today, we will cover some of the major groups. A rowing machine also called an indoor rower is a fantastic piece of workout equipment, capable of targeting your quads, hamstrings, triceps, core, glutes, shoulders and more. Additionally, rowers get your heart and lungs working hard, which also gives you an excellent cardiovascular exercise routine. It’s no wonder that rowing is one of the most popular forms of fitness available in the CrossFit training circle. The catch: When you completely pull your body forward on the machine, you use your soleus, hamstrings, gastrocnemius, and erector spinae. The drive: When you start to push your body back, you use your rhomboids, quadriceps, and all the muscles mentioned above. The finish: As you fully straighten your legs and spine, you’ll use your upper body muscles, including the biceps, triceps, deltoids, quadriceps, rectus abdominus and your pectorals. The recovery: This is the exact opposite of the drive. From fully straightening your legs, you start to bend your knees and pull your body forward, Therefore, it works the same set of muscles but in reverse. This is the movement you do as you return to the catch. So, what muscles does a rowing machine work? The simple answer is “Most of them,” but let’s look at each group in more detail. As mentioned above, when you begin a rowing stroke, you bend your legs and pull yourself forward. This is a motion known as the “catch.” As you extend your knees and hips, you’ll use some of the largest muscles throughout your body, including your hamstrings, quadriceps, and your gluteus maximus. Rowing machines provide an excellent workout for the lower body, which is why you’ll notice that a lot of rowing athletes have excellent muscles in their legs and around the hips. Building strong glutes and legs will help you to burn calories at a faster rate and provide you with greater endurance in some of your other workouts too! As you pull the handle of the indoor rower towards your midsection, you’ll engage various muscles around your shoulders and mid-section. Rowing isn’t just fantastic for the lower body exercise that it provides, it’s also a fantastic way to strengthen your back and shoulders, including the rhomboid muscles in your shoulders, trapezial, and lats. Working out your back and shoulders can help to provide you with better posture and reduce feelings of back pain that are common among people whose jobs have them standing up often. Additionally, your rowing machine will also deliver an excellent workout for your abs, pecs, biceps, and various parts of the core too. As mentioned above, an indoor rower is fantastic for people who want to focus their exercise on their midsection or core. The force that you generate in your legs needs to be pushed into the handle through your arms and back. To keep your entire body strong, the core muscles in your midsection need to be used and they should contract to stabilise your lower spine. This helps to strengthen areas like your transverse abdominis, rectus abdominis, erector spinae, and obliques. 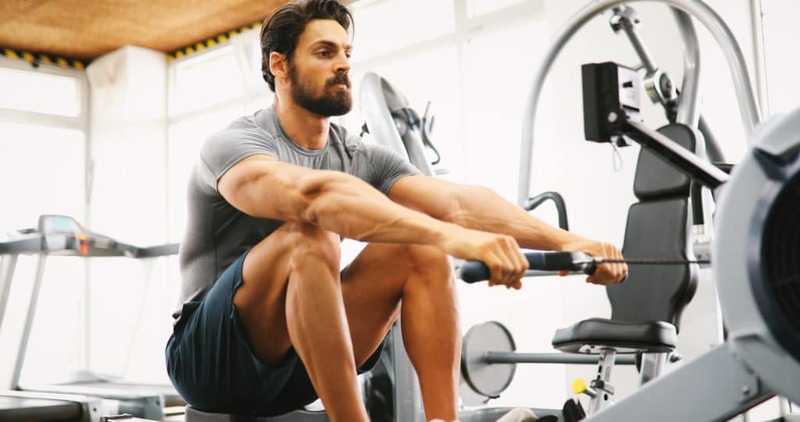 What’s more, as you slide forwards on the rowing machine to perform your next movement, you’ll also get to access the strength in your hamstrings and hip flexor muscles. Your hip flexors along with your quadriceps help to pull you into each stroke, giving your core additional power. Unlike some exercises like running and cycling where your arms don’t take on much movement, rowing forces you to use almost every muscle group at once. Your biceps are responsible for strengthening your arms as you pull the handle of your rowing machine towards your midsection, bending your elbows in the process. On the other hand, the triceps in your arms move with your chest muscles and deltoids to extend your arms forward as you prepare for the next stroke. The more time you spend building out your rowing workout, the more you’ll notice increased strength in your lower arms, wrists, and hands as well. After all, you need to keep a stable grip on the handle as you row. This strength will be useful if you like to climb. Finally, when it comes to answering the question: “What muscles does a rowing machine work?” it’s important to think about the strength you’ll gain inside of your body too. 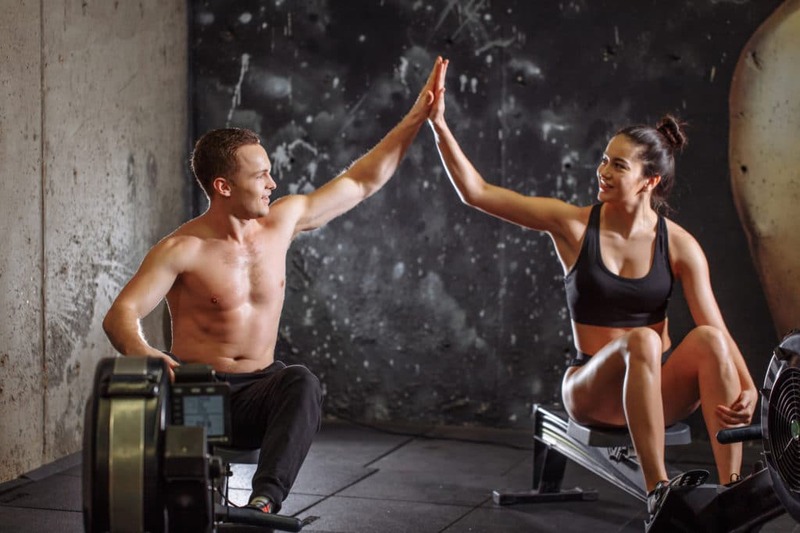 If you have joint problems, struggle with your weight, or you’re just getting started with a new workout, a rowing machine provides a fantastic low-impact exercise option for people from any background. The motion of rowing feels very natural when you begin to get used to it, and it doesn’t place a great deal of stress on your joints. Additionally, rowing machines are excellent for reducing your chances of injury. As you exercise, rowing will help to strengthen the different muscles in your body through a consistent workout. Also, because rowing works out all your major muscle groups, you may find that your stamina and endurance begin to improve too. You’ll end up with more energy to do the things that you enjoy, and you might even discover that your metabolism process begins to be faster too! When you find a rowing machine model that is right for you, give it a try and get ready to reap all the benefits. Are Treadmills Good for Marathon Training? Can an Exercise Bike Tone Your Bum? Do Exercise Bikes Work Your Abs? How Many Calories Do You Burn On A Rowing Machine?